I recently made a tiny zine, which is on the left of this picture. It’s sort of a prequel to a series I hope to work on over the next few months which aims to question inequality in society and also to discuss topics like cultural identity, apathy, vegetarianism/veganism and alienation – to name a few things! 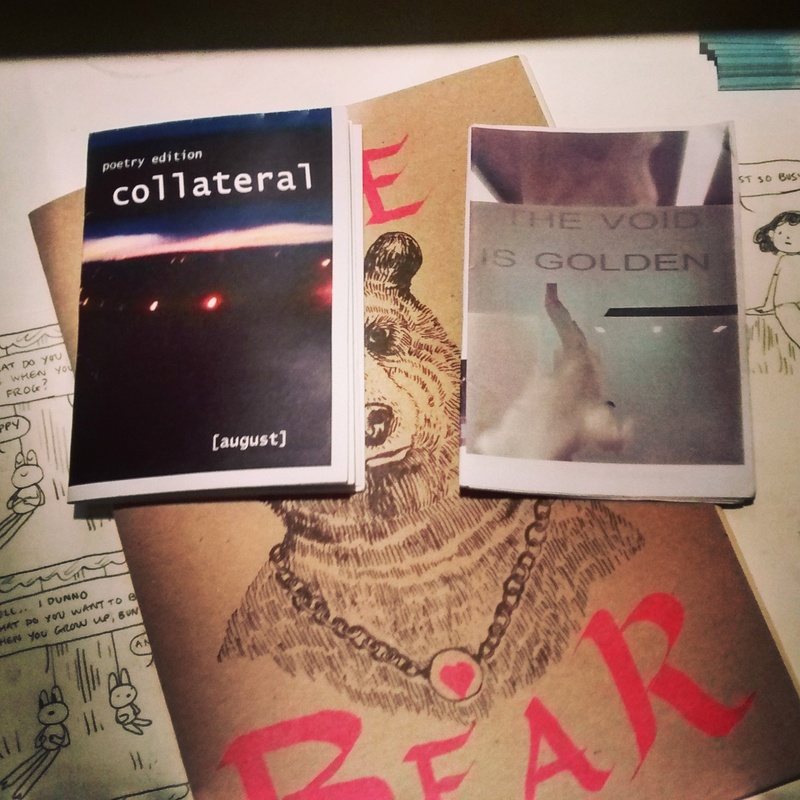 The zine on the right, The Void Is Golden , was made by Lloyd, my lovely boyfriend, its really worth checking out. He’s written some really brilliant stuff and encouraged me to write my own.